We employ various proven methods, adapted to fit the needs, limitations, and goals for each of our patients. The techniques shown below are just a few of highly effective tools we use in our individual physical therapy and sports medicine sessions. Physical therapists use joint mobilization techniques when the articular structures limit the motion of joints; producing arthrokinematic (sliding, distraction, pivoting) movements that need to occur with normal motion. Mobilization techniques are graded and varied based on the acuity of the condition and pain tolerances. Restoring normal joint mobility early in the treatment program will ultimately lead to a quicker return to normal function. The therapeutic use of manual traction (use of the therapist’s hands that combine joint and soft tissue mobilization), to produce a combination of distraction and gliding in the cervical (neck) and lumbar (low back) spine, may be effective in relieving pain, increasing joint mobility and increasing muscle flexibility. Mechanical Traction may also be used to treat cervical and lumbar pathologies and pain. There are a number of different resistance training techniques, including isometric exercise (tension develops toward a maximal force against an immovable resistance, like pushing into a wall), progressive resistive exercise (PRE; strengthening muscles through a contraction by overcoming some fixed resistance like a dumbbell), and plyometric exercise (a reactive neuromuscular training that encompasses a rapid stretch followed by a contraction). The most commonly used strengthening techniques are progressive resistive exercises (PRE), and patients at PTS have a variety of equipment. 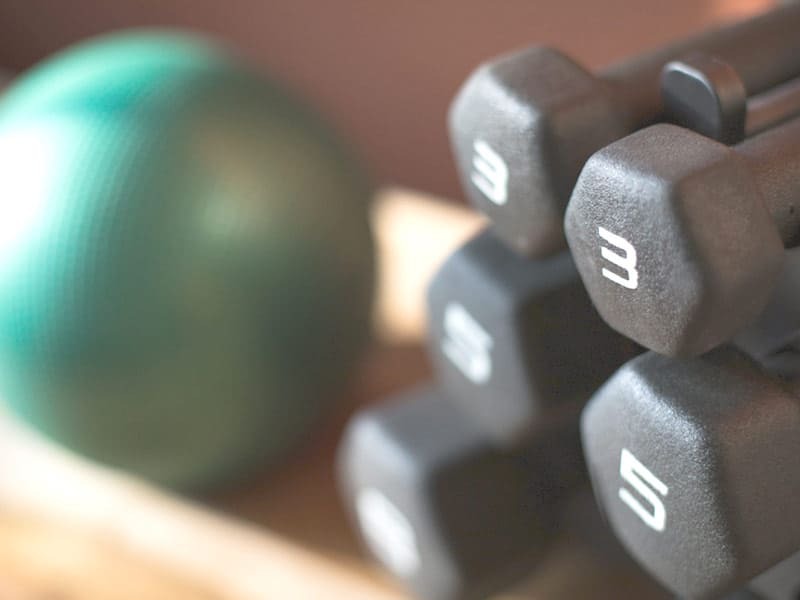 Some may use dumbbells, cuff weights, cable machines, elastic tubing and bands, various exercise machines, body weight drills, and “hands-on” resistance, called manual resistance exercise (MRE) applied by the physical therapist directly to the patient. When injury occurs, there is usually some associated loss of ability to move normally. Loss of motion may be due to a number of factors, including pain, swelling, muscle spasm, shortening of connective tissue as a result of inactivity or immobilization; or some combination of these factors. Restoring normal range of motion following injury is one of the primary goals in any rehabilitation program at PTS, and the use of passive range of motion (PROM), a hands-on technique whereby the therapist moves the body part for the patient, and active range of motion (AROM) performed by the patient; techniques that are typically used in combination to restore full function. Stretching techniques for improving flexibility have evolved over many years and a variety of approaches, from static stretching (stretching a muscle and holding the position) to proprioceptive neuromuscular facilitation (PNF) that involves alternating contracting and stretching of muscles to increase their length. The kinetic chain concept deals with functional relationships that exist with the upper and lower extremities; open kinetic chain (when the foot or hand is not in contact with the ground or another surface) and closed kinetic chain (the foot or hand are in a weight bearing position). In rehabilitation, the use of closed kinetic chain strengthening techniques has become the treatment of choice for many clinicians, allowing for very early and safe intervention. Most sporting activities involve some aspect of weight bearing, with the foot in contact with the ground or the hand in a weight bearing position, so closed chain strengthening activities tend to be more functional than open chain activities. With a thorough knowledge of anatomy and physiology, we understand how a variety of “hands-on” techniques can be used, either alone or in combination, to decrease pain, increase circulation, decrease muscle spasm, increase muscle flexibility, and improve overall mobility. A therapist may utilize the classic massage techniques like effleurage (gentle gliding over tissue), and petrissage (kneading manipulation of the muscle), or more advanced techniques like deep friction (movements designed to lessen scar tissue, absorb swelling and decrease muscle spasm) and trigger point/soft tissue release (designed to elongate the muscle fascia and decrease muscle tension). 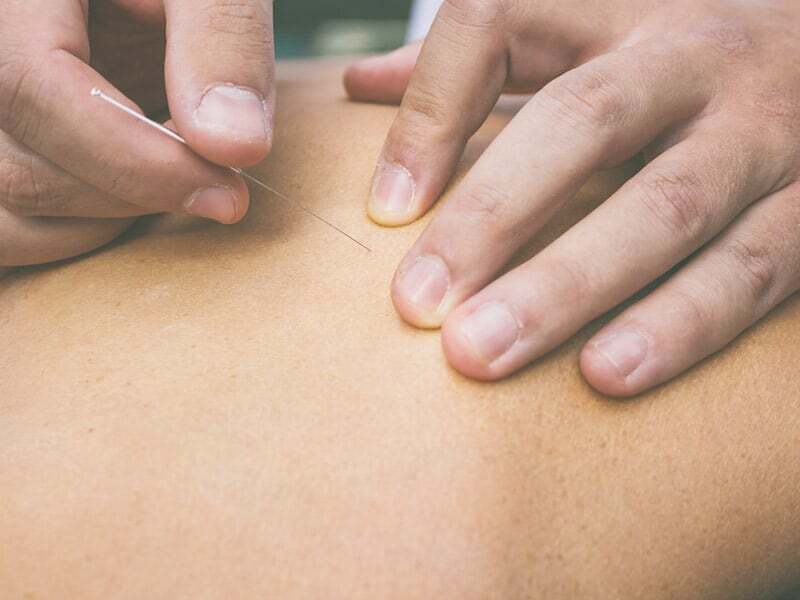 Dry needling is a technique physical therapists use for the treatment of pain and movement impairments. The technique uses a “dry” needle, one without medication or injection, inserted through the skin into areas of the muscle. Other terms commonly used to describe dry needling, include trigger point dry needling, and intramuscular manual therapy. Dry needling is not acupuncture, a practice based on traditional Chinese medicine and performed by acupuncturists. Dry needling is a part of modern Western medicine principles, and supported by research. Physical therapists use dry needling with the goal of releasing or inactivating trigger points to relieve pain or improve range of motion. Preliminary research supports that dry needling improves pain control, reduces muscle tension, and normalizes dysfunctions of the motor end plates, the sites at which nerve impulses are transmitted to muscles. This can help speed up the patient’s return to active rehabilitation. Device Education and Implementation: Bracing, taping, splints, wraps, walkers, canes, shoe inserts, slings, wheel chairs, exercise equipment and other home assistive devices. 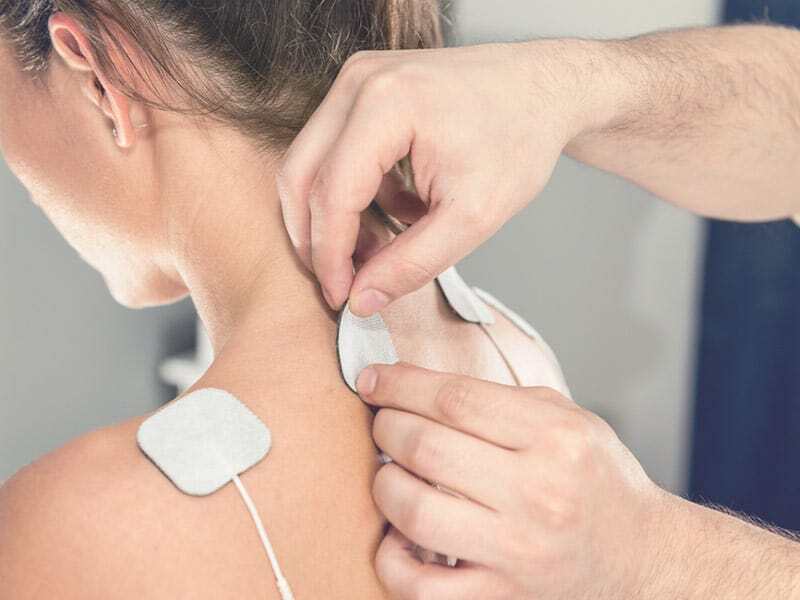 Electrical modalities used in the clinic are medical treatment modalities that are designed to take ordinary current flowing from a wall outlet and convert it to produce specific physiologic effects on human tissue. Clinically, following surgery or injury, physical therapists use electrical currents to create muscle contraction, to increase strength and prevent disuse atrophy, through nerve or muscle stimulation (electrical stimulator using high voltage, low voltage, or alternating current), stimulate sensory nerves to reduce pain (TENS), stimulate or alter the healing process of injured tissue, preventing scar tissue (interferential current), and drive prescribed medicine through the skin (avoiding needle injections) into the healing connective tissues (iontophoresis).